When nineteen-year-old huntress Feyre kills a wolf in the woods, a beast-like creature arrives to demand retribution for it. Dragged to a treacherous magical land she only knows about from legends, Feyre discovers that her captor is not an animal, but Tamlin - one of the lethal immortal faeries who once ruled their world. As she dwells on his estate, her feelings for Tamlin transforms from icy hostility into a fiery passion that burns through every lie and warning she's been told about the beautiful, dangerous world of the Fae. But an ancient and wicked shadow grows over the faerie lands, and Feyre must find a way to stop it... or doom Tamlin - and his world - forever. If there were any recent authors that I have enjoyed reading and was considering adding onto my auto-buy list, it would have to be Sarah J. Maas. Her writing is solid, the novels are always guaranteed to be action-packed and the romance is always enticing and enjoyable. Each novel in the Throne of Glass series just builds on top of the previous installment. So when A Court of Thorns and Roses came out, I was really excited about the prospect of reading something else by Sarah J. Maas. Wow, all I can say is Sarah J. Maas' writing just continues to get better and better. Maas' writing style makes it very easy to dive into this book. The world building is stunning. The fairy world is bursting with mysteries and creatures to discover. Everything about the initial story set-up is enjoyable. I even referred to the map at the beginning of the novel several times because I really wanted to see where all the land related to one another - something I rarely do unless I'm very interested and invested in a novel. Plot-wise, I adore Maas' reinterpretation of Beauty and the Beast. There are elements I expected from the traditional fairy tale to pop up and they did. But the rest is purely from Maas' imagination. Yet the blend between the two is so seamless that sometimes, I lose sight of the fact that this is a retelling and simply enjoyed the novel as it stands. The male characters are quite possibly the highlight of this story. Even the secondary characters can easily stand as flawed heroes in their own right (they probably will star in their own story in subsequent sequels). Feyre, however, does start off a little bit icy and standoffish. Perhaps she has reason to be. But I soon warmed up to her and rooted for her right to the end. However, there are a few minor aspects of this novel that I had mixed feelings about. One of them is the relationship between Tamlin and Feyre. On the one hand, I absolutely loved it. The chemistry is amazing. The interaction between the pair lively. However, I can understand if some readers find the love to instant, the switch between hatred or icy bitterness to love and lust too sudden. Another one of the few minor complaints I had with this novel is a common one that is shared with Throne of Glass. For all her claims to being a skill hunter and strong survivor, Feyre spends the majority of the book idling around the mansion, eating delicious food and painting. While I do appreciate that her skills cannot stand up against the powers of the faeries, the beginning half of the book felt somewhat lacking in action. However, much like the Throne of Glass, the second half of the book does pick up and races towards the ending. 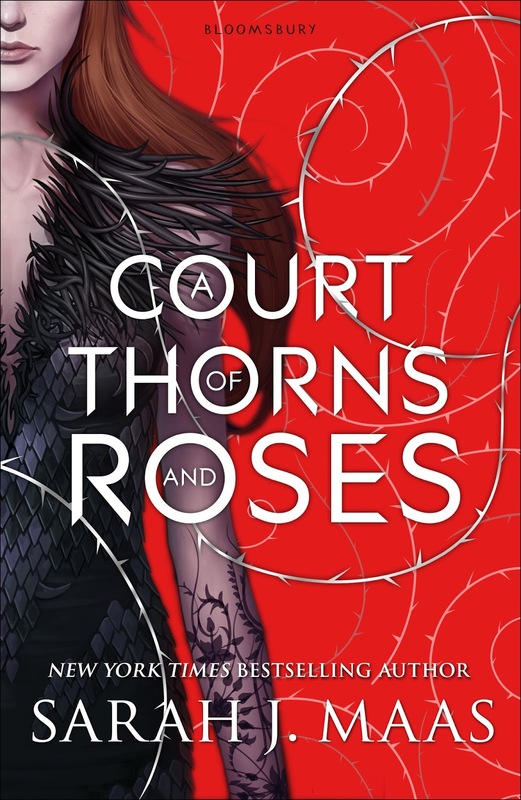 Overall, I absolutely loved A Court of Thorns and Roses, perhaps even more than I enjoyed the first installment of the Throne of Glass series. The anticipation for the next book is mounting and in a way, I'm glad we don't yet know too much about the second book. Because if I do, the year long wait will most definitely test every last ounce of my patience. Disclaimer: a complimentary preview was provided to me by the publisher via NetGalley in exchange for an honest review. The views expressed above are entirely my own and are in no way affected by the source of this book. Thank you for the awesome review! 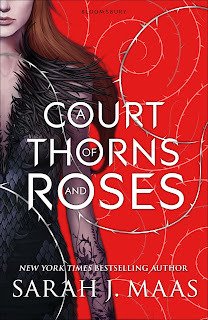 Court of Thorns and Roses has been circulating around the blogosphere, but interestingly enough I've read a lot of mixed reviews. Some people loved it, some people hate it. But from what I've read of the people who loved it, like you, it sounds incredibly interesting and I'm totally going to get it. Hi Ashley, you should definitely give it a go. :) There are elements I found wanting but for the most part, I enjoyed the read. And if you haven't read Sarah J. Maas' works before, this is a great introduction.